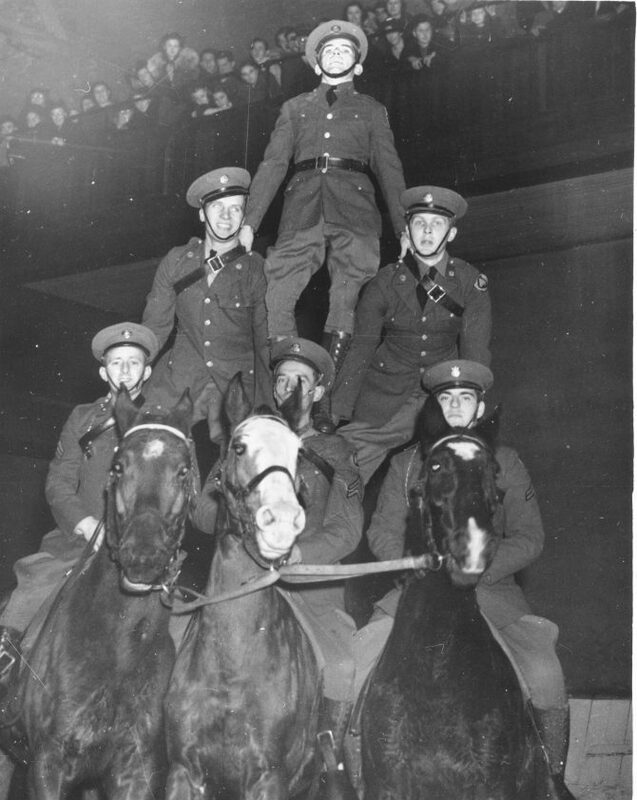 The members of the Washington National Guard who created this human pyramid were just six of the more than 50 riders who thrilled a capacity crowd on November 29, 1937 at the first horse show of the season, held at the Armory. 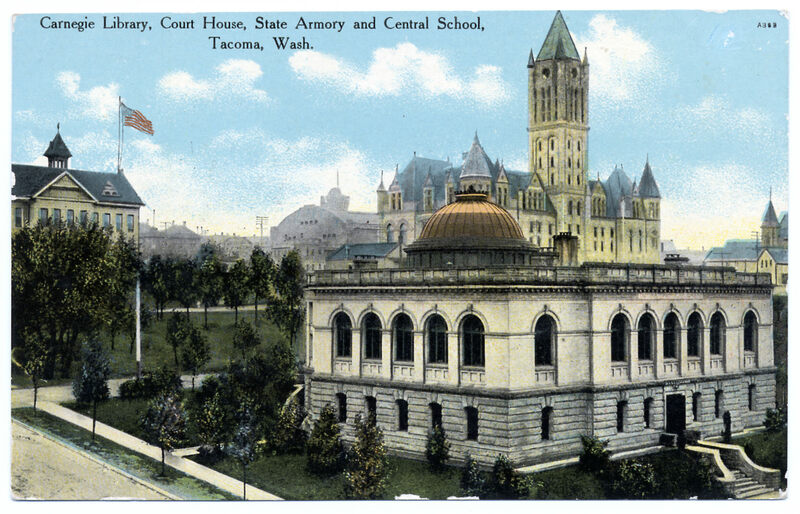 The show was sponsored by the Headquarters Troop, 24th Cavalry Division, Washington National Guard, known locally as "Troop B." The six soldiers who created the pyramid formation on the backs of three horses were: (l to r) mounted, Sgt. Orville Johns, Sgt. Ed Lewellyn, Corp. Art Weisfield; two abreast are, Pvt. L. Peterson, left, and Pvt. C. Denton; top Pvt. Jack Mills.